Okay – these items are not really ‘tools’. However they are little-known life-savers for sewers and scrapbookers. Recently, I ordered a bunch of Floss Bobbins and storage cases that come with a bobbin winder to help solve my unruly, tangled mess of embroidery floss from my cross-stitching days. 1) Free up your machine bobbins: I transferred the sewing threads from my almost-empty bobbins to these bobbin cards. The threads on the cards will be used for my handsewing projects. 2) Portability: Carrying threads/floss on the bobbin cards is easier, compared to a large spool that tends to roll off my sewing table. I can stuff the card into my sewing box with no problems at all! 3) Organisation: Organising your thread/floss stash is very easy with the cards which you can label. Best of all, you can wrap the ends of the threads around the ‘legs’ of the bobbins and you don’t get unraveled mess of threads in your stash box! 4) Labeling: Half way through a skein of floss, the label bit with the ID number will DEFINITELY fall off and leaving my remaining skein anonymous 🙁 With these floss bobbins, you label the DIRECTLY on the card. I LOVE THAT! Here’s a walk-through on how I set-up the winder and got flossing! But the winder is NOT a requirement. You can always wind the thread/floss by hand. Set up the winder unto the case. Insert the winder on the ONE side of the case WITH the DIVIDER. Match up the hole in the bobbin with the hole in the winder. Insert the little plastic pin into the hole. Wind one end of the floss through one 'leg' of the bobbin. Crank winder, filling bobbin with floss. When you reach the end, wrap the end bit around the leg of the bobbin. 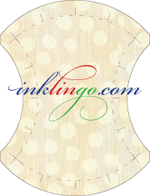 May I ask where you get your hand quilting thread and other notions from? I’m looking around for reasonable priced ones. I learn patchwork and quilting in Japan when I lived there for 2 years. Can’t wait to start on one as soon as possible. May I ask where you bought the floss bobbins from? Interested in getting them too and of course the bobbin winder too.